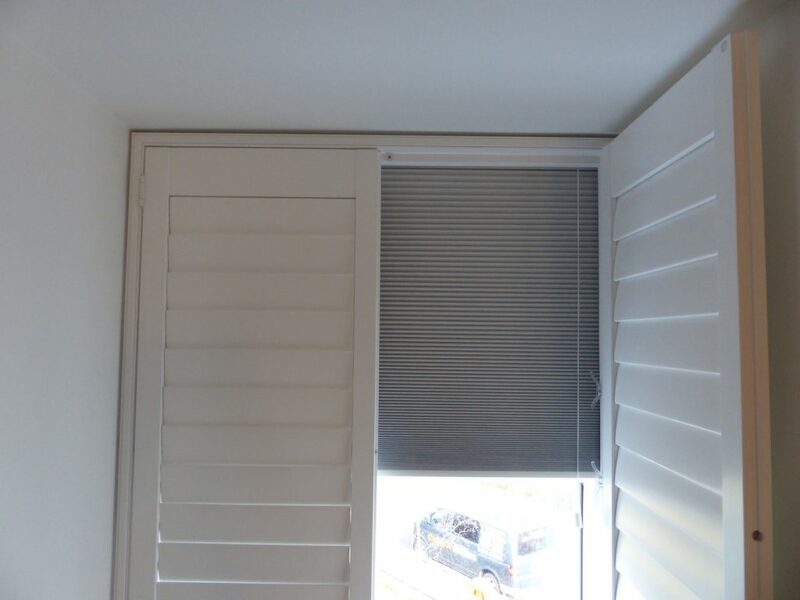 There is F style frame that comes with a pre-fitted blackout blind behind the shutters. 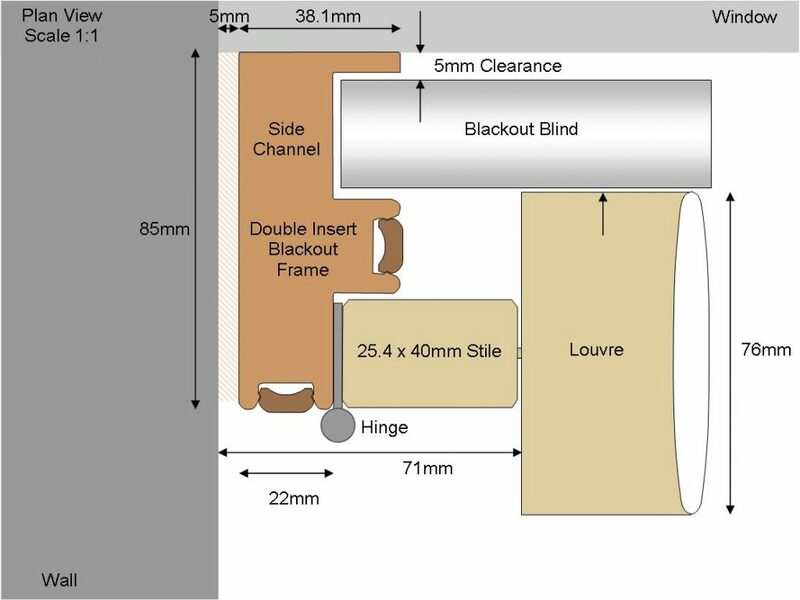 The standard L frame is upgraded to incorporate a channel for the blind to slide up and down turning into the ‘F’ shape. When the blind is pulled up it seats neatly behind the top rail of the shutter out of site, perfect if you work nights and need to block out the light during the day. 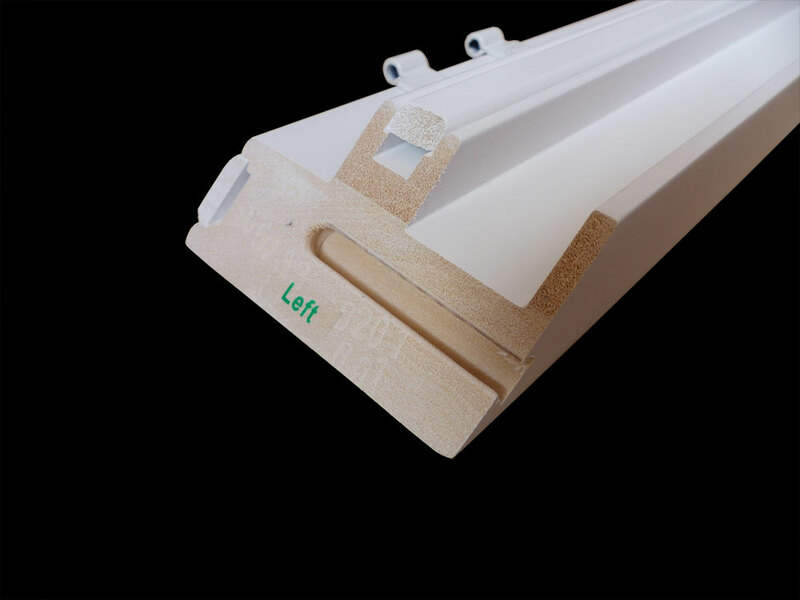 The blackout option can be ordered with bay posts and Tposts, though generally the blackout frame is not recommended around bay windows due the depth of the frame as it can make the shutters protrude further than normal. CHILD SAFETY – When ordering the black option you need to be aware of the child safety rules and ensure the two cord cleats are fitted more than 1500mm from the floor and a minimum 150mm apart. COLOURS – There is a small range of blind colours when white is the most popular as most shutters are ordered in white. 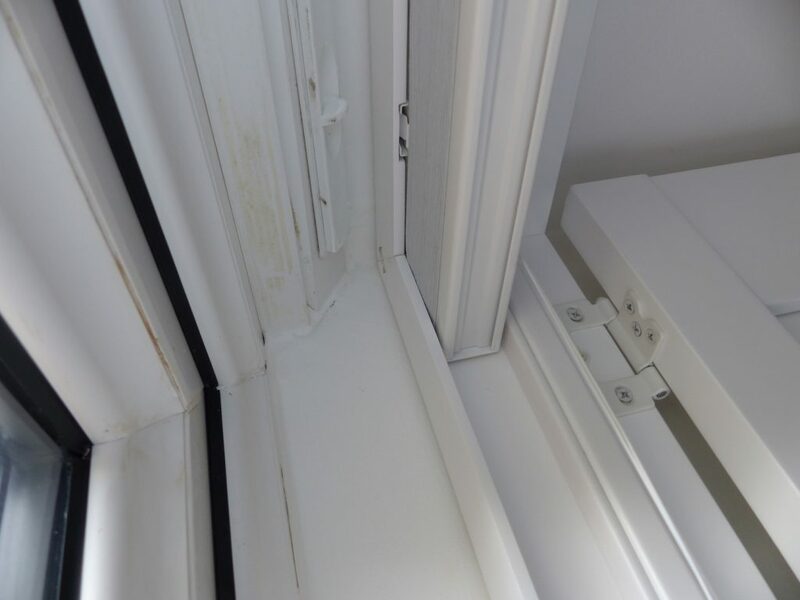 FITTING CLEARANCE – The blind drops down very close to the back edge of the shutters, so the back edge of the shutter does need to be fitted in front of any large handles or protruding objects to ensure the blind does not catch. Consider swapping any large handles to a low profile design on UPVC windows. 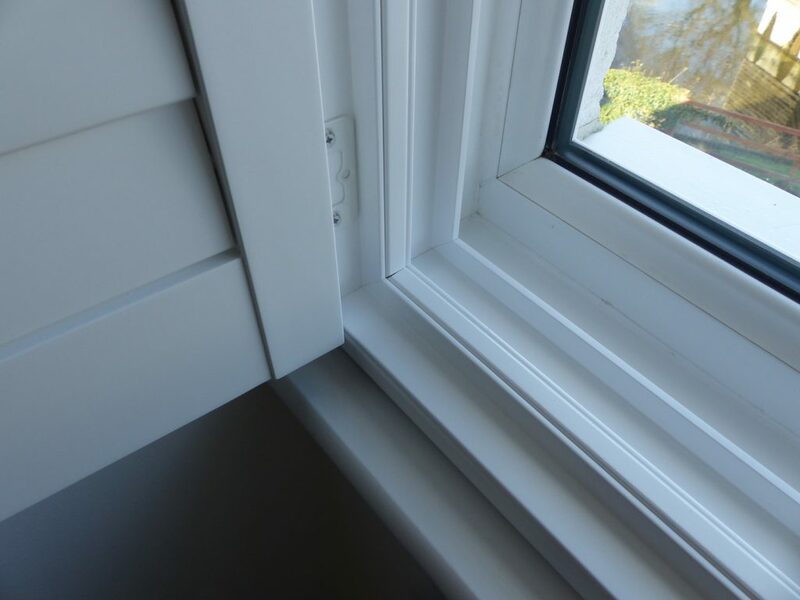 RECESS WINDOWS – Due to the large frame depth of 85mm, its recommend that blackout shutters are only fitted within recessed windows, this way you won’t notice the extended frame depth. LIMITATIONS – The minimum width is 220mm and height is 250mm, the maximum width is 2500mm and height is 3600mm, however, although these are maximum sizes, there is an overall maximum 5.5sqm order limit.